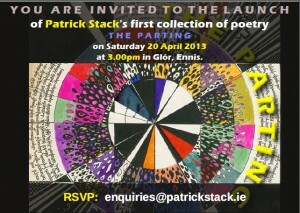 On Saturday 20th April next, Patrick Stack‘s first collection entitled “The Parting” will be launched by Fred Johnston of The Western Writers’ Centre at The Clare Three-Legged Stool Poets April reading. The event takes place in Theatre 2 in association with Glór and begins at 3pm. Entry is, as always, free. Music will be provided by piper Andrew Newland. Last Saturday in association with The Western Writers’ Centre, Clare Three-Legged Stool Poets hosted a reading in O’Grady’s Bar and Restaurant in Gort as part of the annual The Forge at Gort Literary Festival. Members of the group who read were Peter Kay, Brian Mooney, and Patrick Stack. The Limerick Writers’ Centre was ably represented as well by Teri Murray and others. I’m excited by the initiative taken by Clare Three-Legged Stool Poets for All-Ireland Poetry Day 2012. The Poetry Quiz was a brainchild of Mike Douse who also came up with the questions. I agreed to develop the Quiz as an online application. It proved trickier than I initially thought, and for a while I was worried I wouldn’t get it finished on time. But thanks to that most useful of programming workhorses, the humble array, my worries proved to be without foundation. Mike will be supplying me with the correct answers for display once the deadline has passed. So have a go yourself! If nothing else, you are bound to learn more about poetry than you already know. It was a beautiful afternoon on Saturday last (21 July) for the annual Clare Intercultural Festival which was held in the grounds of St. Flannan’s in Ennis. There was an eclectic mix of singing and dancing by Clare residents from such varied places as Nigeria, and Chile – to name the two I had the pleasure to be at. A member of the group, Martin Vernon, was MC for the day. The Clare Three-Legged Stool Poets group are looking forward to giving a more substantial contribution at next year’s event. 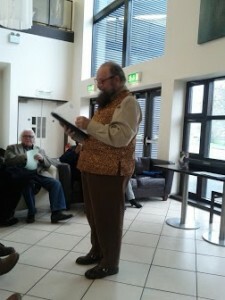 Our monthly public readings in Glor, Ennis will recommence in October 2012, as our “season” runs from October to May. There are some other readings by the group or by group members pencilled in for July, August and September. We will be putting details of these on the web site as soon as we have them confirmed. 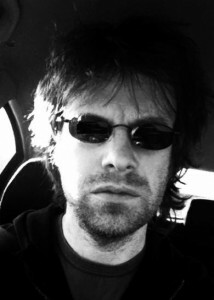 Tomorrow, Saturday 21st April 2012, sees a very special day in Clare Three-Legged Stool Poets’ calendar with the launch of Arthur Watson‘s first collection at the April reading in Glor. Arthur is guest poet and will read from his collection Spirit Store. Proceedings begin at 2pm sharp.